Assuming that you upload a home-made video to your YouTube, only to find someone else re-edit it and even publish to his own social platform. What can you do to prove that this video is made from your hands? Obviously, a special watermark is the best evidence. Hence, to keep our copyright and defend our intellectual right, learning how to add watermark to video online becomes our urgent priority. To give you the most support, we are going to show how to make it with ease. This online watermark maker can strictly protect your content's copyright from being infringed, including videos, images and documents. There are only 3 forthright steps: import, edit and export. Now let's jump to the next guide to see how to manipulate it. This all-round compact video branding tool can show you comprehensive solution to upload your video source(s) from different platform and hard drive, like local computer, Facebook, Flickr, Dropbox, Google Drive, SkyDrive, Evernote, Picasa, Instagram, etc. Note: The basic version only allows you to process one file each time while the premium one can support unlimited files at a time. Tick one of the uploaded videos you want and do further edit. Once this straightforward tool completed load it, you can go ahead to click the "Watermark" tab. It's feasible to make a customized text watermark, setting color, font size, background, stroke, opacity, shadow, etc. in your own way. Or you can directly import specific logo watermark from local folder. Note: The premium version gives you access to utilize watermark templates, hi-res watermarks, 300+ premium fonts, filters, effects, etc. Afterwards, you can click the "Finish" button to export your video. The designed watermark can be saved as your template for next time usage. Then you can decide to re-edit it, download to computer, send to email, output to Facebook, Flickr, or save to your own Dropbox, Box, etc. Note: The video in full length over 30 seconds requires an upgrade. That is to say, to totally enjoy the best service, you'd better unlock all functions with a premium version. 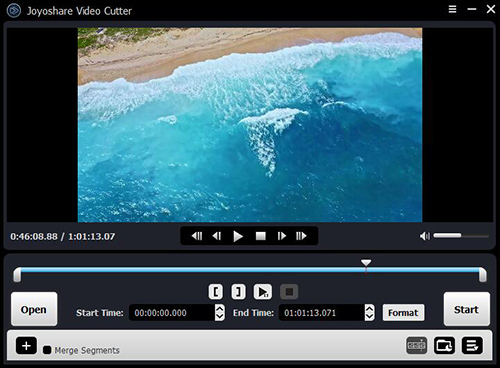 Since the online watermark creator has no option for you to preview the edited video in advance and provides no permission to auto-play the whole video after loading video, you might as well try an alternative, Joyoshare Media Cutter. It can satisfy your needs in high efficiency. As a incredibly professional watermark maker, this tool is capable of cutting off needless sections firstly and empowers you to add both text watermark and image watermark handily. You also have right to see the visual effects in preview window, take snapshots and adjust transparency at discretion. 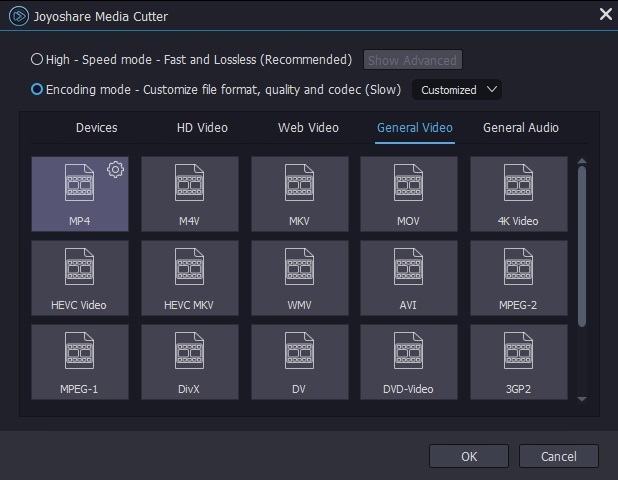 Pleasingly, Joyoshare Media Cutter has full support to a large number of video formats, such as M4V, AVI, MP4, MPG, MPEG, 3GP, 3G2, WMV, ASF, RM, RMVB, DAT, MOV, FLV, MKV, DV, VOB, WTV, OGV, etc. Other than that, it enables you to add background music to video, apply video & sound effects, change aspect ratio, adjust brightness, etc. Without doubts, as long as you take full advantage of it, you will find it is a comprehensive program. It assists you to create unique ringtone for your Android and iPhone, crop certain area, trim exact fragment, remove noisy pieces, etc. Set font by personalizing its color, size, style, effect, etc. 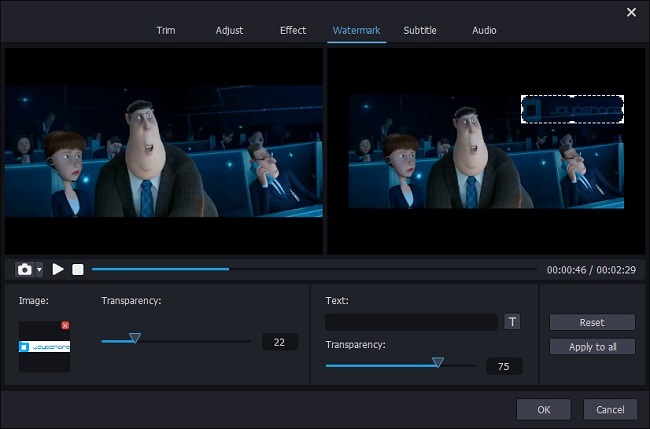 Run Joyoshare Media Cutter on your desktop screen to let it work for you. From its main interface, you can get to know how to add your video file. Straightly drag and drop it to this program or simply click the "Open" button to select a local file. Note: In case you have multiple video files to add stylized watermark, you can utilize Joyoshare Video Converter. The fact is that Joyoshare Media Cutter cannot support batch mode currently. Press "Show segment list" icon to show all video clip(s). If you want to get more than one beloved video cuts from the imported source, you can go forward to hit the "+" button. Hereafter, you can move the yellow handles or fill in the time frames to set accurate time points for each video clip. Next step is to click the edit button and enter "Watermark" tab from the top menu bar. With this dedicated watermark maker, you can do following operations. 1) Add image watermark: click the "+" to search your own local folder and choose one required image. Usually, a brand logo is commonly used. 2) Embed text watermark: enter any text you want in corresponding frame. 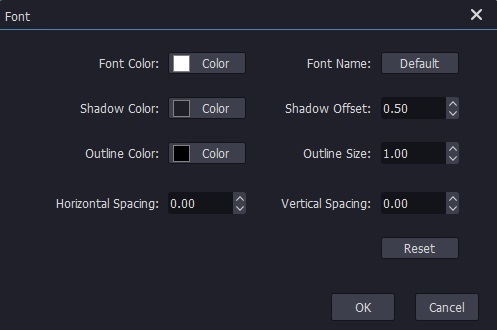 You can hit the icon to set font, including color, size, style and more as below. 3) Slide the controller from the end of left to the end of right to adjust the transparency value. 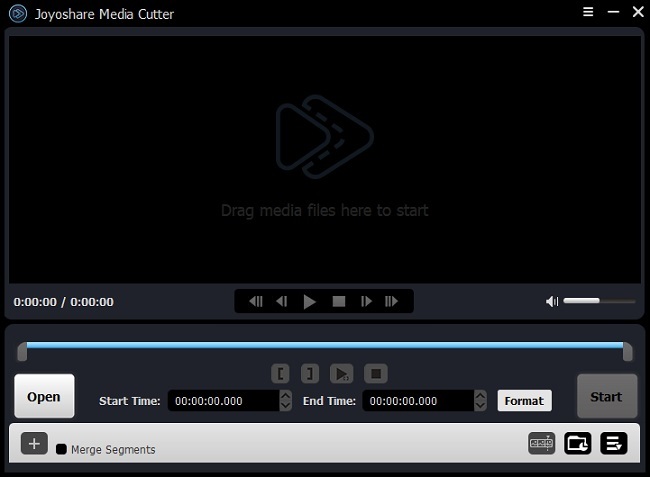 4) Click "Apply to all" icon to apply the customized watermark to all existing video cuts. Note that any changes can be seen in the preview window. Get down to opting for one output format under the encoding mode. Or you can transfer your video to any mobile device for better enjoyment, like Samsung, PSP, Xbox 360, iPhone, iPad, Sony TV, Motorola Droid, etc. To do more, you can hit the gear icon on the chosen format to specify resolution, codec, bit rate, sample rate, etc. Once everything is prepared, you can set about clicking the "Start" button to get what you want.